Tech experts have predicted that this year will continue to see the rise of cloud based services, particularly hosted PBX. But before you sign on with the first provider that gives you a quote, it’s best to do a little shopping around and research on your own. 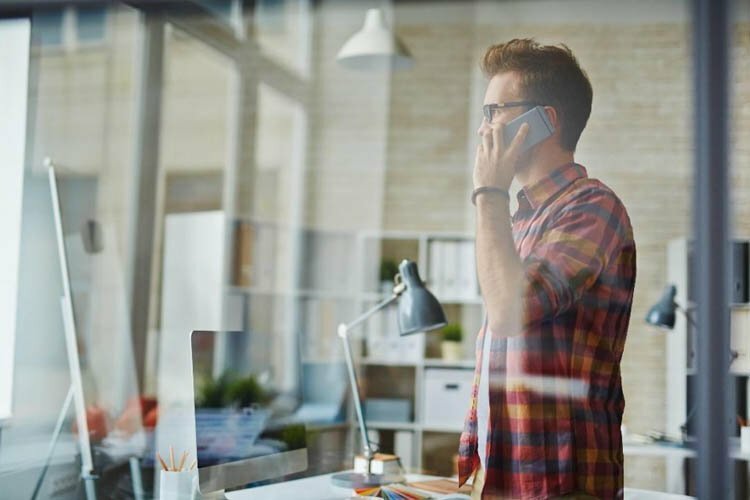 To make sure that you get quality services for what you’d be paying, go ahead and ask the following 5 questions before making the jump to hosted PBX. Will any special equipment be needed/installed on site? Hosted systems are known for their ease of installation, simply because all of the technical equipment are off-site and under the care of the provider. Beware of unreliable companies that sneak in all kinds of unnecessary equipment that will leave you with costly maintenance plans. Other than phones, power supply, routers and switches, there shouldn’t be more hardware required at your site. Can the phones be used anywhere? IP phones are known for their plug and play capability. This means that you can use your phone and office number anywhere you have a stable internet connection. Softphone and mobile integration technology also allows you take calls on your phone or computer whenever you’re out on a business meeting or running errands outside of the office. This also means that moving your hosted PBX system will be a breeze. Simply transfer your phones to your new location, and your customers will be none the wiser. In fact, your extensions can be used across sites in different states. Stay connected whenever and wherever you are. Is there a web based administration portal to configure the service? The best providers give access to web based self-management portals that both monitor and can be used to customise your service. Don’t hesitate to ask for a demo on how the portal works so you can avoid buggy and non-user friendly interfaces. We at Alltel understand how vital business continuity is for you and your customers. This is why your my.alltel call management portal allows you to redirect calls to other landline or mobile numbers in case of power outages or natural disasters. How fast does the provider do upgrades to new technology? There is a lot of buzz about the rolling out of NBN across the country. But for some, this comes with a lot of anxiety related to upgrading their systems to this new technology. To avoid any extra costs, choose a provider that offers NBN compatible hardware. This way, you can rest assured that you won’t have to pay for a new system once the change reaches your premises. What kind of customer support comes with the service? Settle for nothing less than a 24/7 monitoring and maintenance service from your provider. Excellent support and high reliability should be your main priority as you switch to a hosted PBX system. Deal with specialists that keep backup servers online, at redundant locations to make sure you never lose service. Don’t hesitate to ask your provider these questions before signing up for anything. It will show early on, what kind of service you could expect from them if ever you run into any issues. For any other queries, feel free to give us a call at 1 300 ALLTEL or have a look through www.alltel.com.au. Our business consultants would be glad to help you take the first step to making the switch.